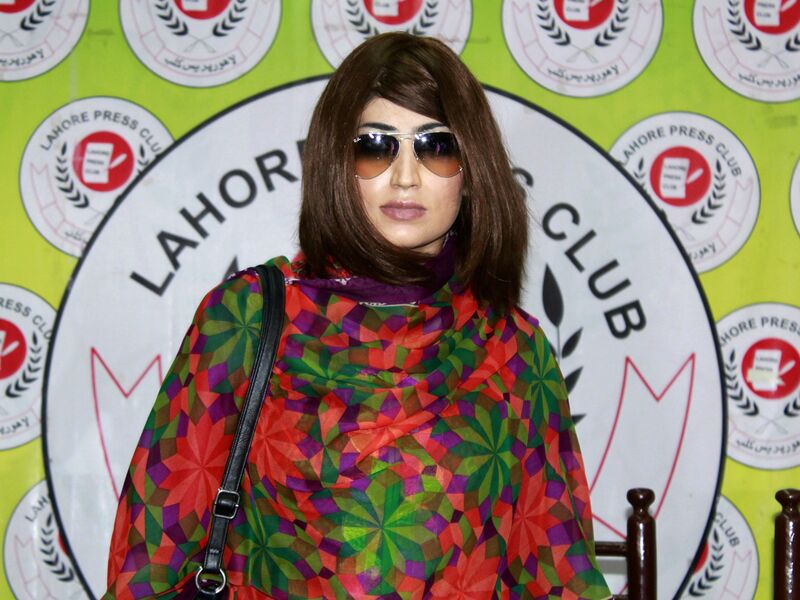 Popular Pakistani model and social media star Qandeel Baloch was murdered by her brother Friday because "she brought dishonour to the Baloch name." Waseem Azeem confessed during a new conference to drugging and strangling his 26-year-old sister because of her social media, and one photo in particular in which Baloch posed with a Muslim cleric. Multan police chief Akram Azhar has promised to seek the “maximum punishment,” which could potentially mean the death penalty for Azeem. Her death — and her brother's lack of remorse — is a serious sign of why the entire globe needs feminism, because incidents like this have no place anywhere in the world. Baloch had cultivated a significant online following, with more than 700,000 Facebook fans and 41,000 Twitter followers. Although her videos and pictures were on par with what American celebrities post, they were considered extremely racy and controversial in Pakistan's conservative society. Baloch was working with intention to change minds about women in Muslim culture — she recently posted that she was “trying to change the typical orthodox mindset of people who don’t wanna come out of their shells of false beliefs and old practices.” According to the Pakistani newspaper The Express Tribune, Baloch had already received death threats and asked for protection from the Pakistani government. Although the United Nations puts the official estimate at 5,000 honor killings performed around the world every year, though that number is hard to track and could be higher. Shockingly, many teenagers of this generation still believe in the moral justification of honor killings — a 2013 study in Jordan found that one third of teenaged students believed it was acceptable to kill a girl or woman if she shamed her family. Half the male respondents and one in five female respondents said honor killings were justified. Honor killings in Pakistan have been a particularly prominent issue in the last several years. The 2016 Oscar Award-winning documentary short A Girl in the River: The Price of Forgiveness reportedly convinced Prime Minister Nawaz Sharif to change the law on honor killings, which had risen by over 26 percent between 2013 and 2015. The Punjab region, where Baloch lived, passed a groundbreaking law in February criminalizing all violence against women, but as Baloch's death proves, it will take much more than just laws to eliminate honor killings. Baloch's death serves as a stark reminder of the freedoms enjoyed in some places and the horrors endured in others. Her extraordinary activism can't die with her — it's the responsibility of those who have the power to change this injustice to make it happen. If there's a silver lining to be found, hopefully Baloch's death will bring awareness and change that will see honor killings eradicated from this world.